2016 may finally mark the death of a few long-standing trends in home interiors: Polished nickel hardware and stainless steel appliances in the kitchen, gray on gray on gray, all-white kitchens, and the idea all that all things must match. Before I go into my favorite top 5 trends for the coming year, I'm excited about the direction in general. Think much more hand-crafted, eclectic, perhaps even European in nature, with much more emphasis on true artisanship, unique and meaningful art, recycled goods, and a layered, subdued feeling in the home. Say good-bye to mass-produced and cheaply manufactured goods that don't stand the test of time, overly bright and overly done looks, and generally trying too hard. So maybe this is your year. Your home should be cozy, relaxed, purposeful, and always tell a story about YOU. Yes, yes, and yes. These five trends of 2016 are ones I am definitely not mad about. Say good-bye to all-white/stainless steel kitchens. The look is moving in a much different direction. Mixed metals, mismatching cabinetry, old world meets modern, copper, gold hues, vintage patina rugs, and much moodier in nature. Don't be afraid to use black. It's no longer necessary to match the upper and lower cabinetry. In fact, the upper cabinetry in kitchens is completely being reinvented. Think open shelving and other unique expressions of storage above. Or, maybe none at all. Spaces are OK too. Kitchens should be a rambling expression of how you live, how you cook, what you eat, and how you like to display your goods. The more creative here the better. Muted, subdued and more layered vibes. The angel is in the details. Use of texture rather than bold, bright contrast. Mixing scale appropriately to fill a space. Playing with subtle variations in tones and richness. This is not necessarily a look that you throw together in a day or shop for in a paint-by-numbers fashion. This is about taking your time to layer in meaningful pieces that tell a story and create a look that is totally your own. The more unique and eclectic the better. There is a fresh simplicity, yet at the same time a great attention to each piece. Floating vanities and console pieces. Floating vanities give a look of a bit more spaciousness or airiness. In a small space like a bathroom, they also help to reveal more of the flooring if you are doing a special patterned tile or some other element you really want to highlight. Here is a great DIY from Amber Interiors on a floating credenza. 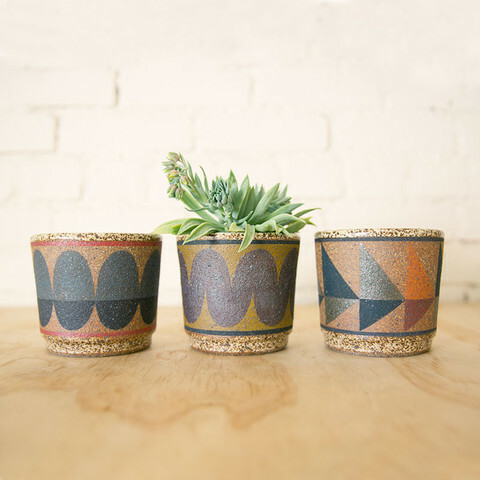 Handmade ceramics/earthenware will replace shiny, new porcelain. The return of the formal dining room. As much as I tend to be very relaxed in my aesthetic, I love the idea of having one room that is very special, and shouldn't it be the dining room? The place where you entertain? This is where you splurge on the best table you can afford, and save up for a luxurious and interesting chandelier or pendant. Again, don't think of shopping a retail store for a "set" where each chair matches and every finish is the same. Mix wood finishes, metals, host/hostess chairs, even every chair. Collect and take your time. Loving these trends, hope you are too.